Playing for Victoria and winning the Ryder Medal are two highlights in Andrew Wildsmith’s long and successful innings as a cricketer. Hi Andrew, tell us about your background and what you do with yourself these days. I grew up in Heidelberg and played all my junior days at Rosanna and then I went to the district club in Northcote when I was about 16. I played there until I was about 29 and then I played sub-district cricket at Ivanhoe. A lot of my mates were there and I had been at Northcote for about 15 years, so it was time for a change. Teaching was always what I had thought about doing when I was younger and now I am a primary teacher, and I teach sport. Medal man: Warrandyte’s Andrew Wildsmith enjoyed a successful cricket career that included a Ryder Medal. What are some of your achievements as a cricketer? I played about four or five games for Victoria. We won a premiership at Northcote in 1986/87 and I won the Ryder Medal in 1984/85. 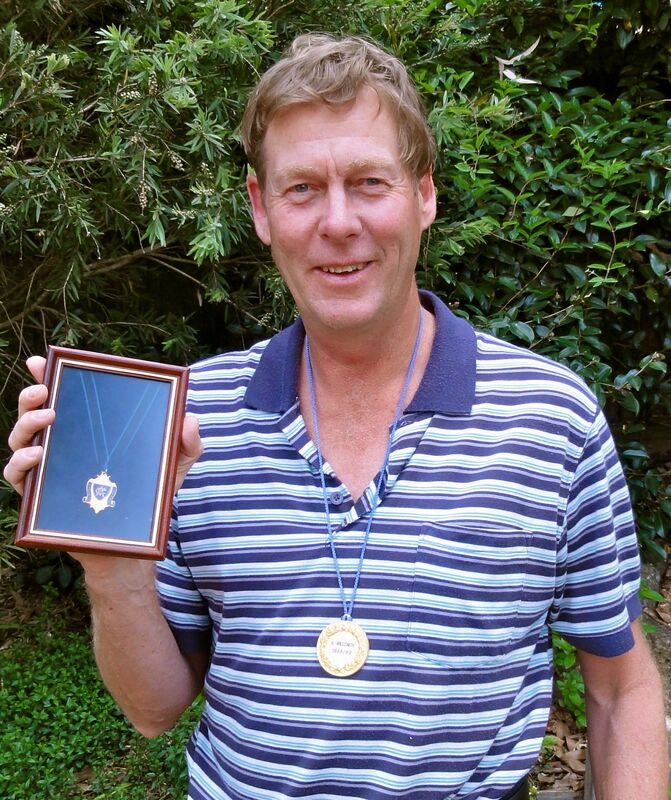 After that I played sub-district cricket at Ivanhoe where I won the Hatch Medal in 1988/89. When my boys were little I gave it away for about five years and then went back and played sub-district cricket in 1999 – we won another premiership. After that I played in the local association at Wonga Park for about five years and really enjoyed that. I’ve also done a little bit of coaching locally and at school. Do you have any favorite memories or highlights? Probably the premierships at Northcote and Ivanhoe were the highlights. They were great, particularly for the people who had been around the clubs for long periods of time and experienced a lot of success. I really enjoyed that. At what age did you realise you had a talent for cricket and would likely play professionally? I never really expected it, so I don’t think it was ever mapped out or anything. I suppose as a junior I was OK at it and then I think the opportunity just presented itself. My uncle played at Northcote, so I went and played for him and it all just took off from there. Did your parents encourage you to play sport? Yes, my Dad had always been into cricket and baseball. My Dad played in the Victorian baseball team and my uncle played state cricket. So I was always around sporting clubs and that sort of thing when I was little. So I was encouraged to get into sport. I also played baseball for 30 years, since I was about eight years old. When I was younger, I would play baseball in the winter and cricket in the summer. How does it feel to be one of the very few people who have won both the Hatch and Ryder Medals? I was lucky enough to have a couple of good years. It doesn’t happen all the time but I think I was just lucky those two years. When I was at Wonga Park I also won the Bill Dean Medal, which was the best player in Chandler. I think that was a bit of a fluke, really, but I don’t measure my success by the awards. I think you should measure sporting success by doing and being the best you possibly can. You were a left-hand batsman and a right-hand bowler. Are you ambidextrous? I’m exactly the same as my Dad – anything I do with one hand I use my right hand and anything I use two hands for I do left-handed. So I play golf left-handed and I play tennis right-handed. It’s a bit of a weird mixture. I’ve always been like that since I was little and my uncle is the exact opposite! Everything he does one-handed he does left hand and everything he does with two hands he uses his right hand. So I don’t know where all that mixture comes from. How did you come to live in Warrandyte and what do you love about it here? I just love the community feel about living here. I just think it’s a fantastic community. We came across it by accident really and we’ve been here for just over 25 years now. Do you have any advice for young readers who would like to play sport professionally, particularly cricket? I think just keep persisting and keep trying as hard as you can and train as hard as you can. Then the rest takes care of itself. So long as you have prepared enough, you can’t do much more.